South Africa, a nation filled with culture and diversity, a unique place rich with tradition and beauty. What does SA mean to you and how will you be celebrating Heritage Day on 24 September 2013? 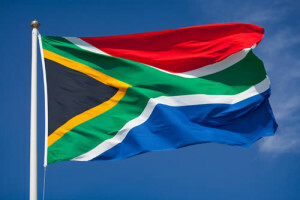 South Africa is a place of passionate sports lovers, of master braaiers, of majestic wildlife, of a multitude of languages and it’s a land filled with friendly faces, bright smiles and people who are always willing to lend a helping hand. People of all races and ages will be joining together this Heritage Day to celebrate everything that our grand country is about and we at The Waffle House in Ramsgate will be doing what comes naturally to South Africans, inviting friends over for a day in the sun, a delicious meal and great company. So bring your wife, your tjomma, the kids, your dad and skoonma and choose from a selection of delicious waffles while you spend your day taking in the African rays, catching up with your fellow South Africans. Let’s take the time to appreciate all that our country has to offer as well as celebrate the people who make it great. Happy Heritage Day to everyone from The Waffle House.